Another summer theatre afternoon brought to you by the Parish Events Group! 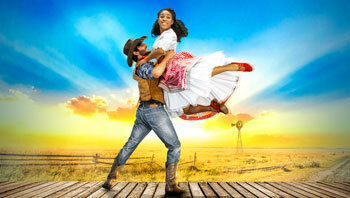 A visit to the Chichester Festival Theatre on Thursday, 15th August 2019 for a performance of Oklahoma!, the American musical by which all others are judged. Among the unforgettable songs are Oh, What a Beautiful Mornin’, The Surrey with the Fringe on Top and the show-stopper Oklahoma. PEG tickets are £49 (Box Office ticket price alone is £43) which includes transport by luxury coach and a delicious Wild West picnic box to share. To reserve your seat, please contact Sara Barclay-Hudson at sbh0369@yahoo.com or telephone 01444 461236. 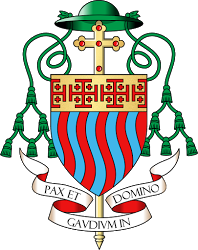 Please make cheques for £49 per person payable to Worth Abbey Parish and contact Sara for address details. Tickets are allocated on a first come, first served basis, as this is yet another sell-out production. Don’t miss this super opportunity – the theatre is almost sold out already!